The B.C. government said Friday that all public schools in the province must provide free menstrual products for students in school bathrooms by the end of 2019. All B.C. public schools are now required to provide free menstrual products for students in school bathrooms, the provincial government has announced. Under a ministerial order issued Friday, schools must make the products available by the end of 2019. "This is a common-sense step forward that is, frankly, long overdue," Education Minister Rob Fleming said in a statement. "We look forward to working with school districts and communities to make sure students get the access they need, with no stigma and no barriers." A statement from the ministry said B.C. is the first province in Canada to mandate free menstrual products in all bathrooms. The ministerial order comes with $300,000 in provincial startup funding. A statement said the education ministry will be working with school districts in the coming months to ensure they have funding to meet the new requirements. In February, the New Westminster school district passed a motion to provide free menstrual products in all its schools. The board said it hoped the move would inspire other districts in B.C. — or the provincial government — to do the same. 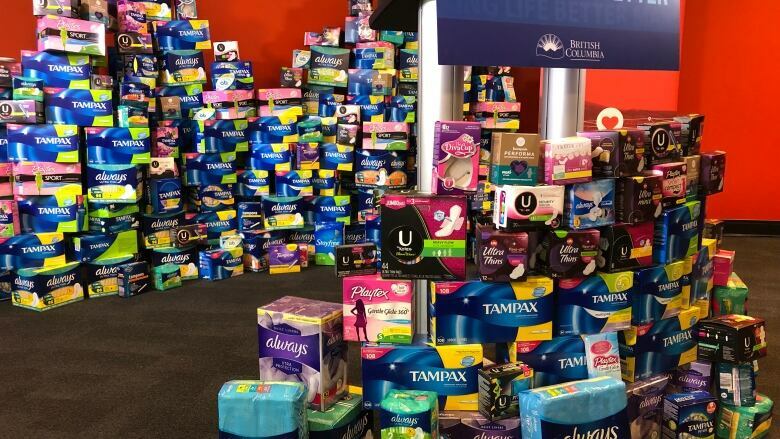 The move in New Westminster follows a United Way campaign called Period Promise, which advocates for access to free menstrual products. Rebecca Ballard, a Grade 11 student in New Westminster, applauded the government's decision. 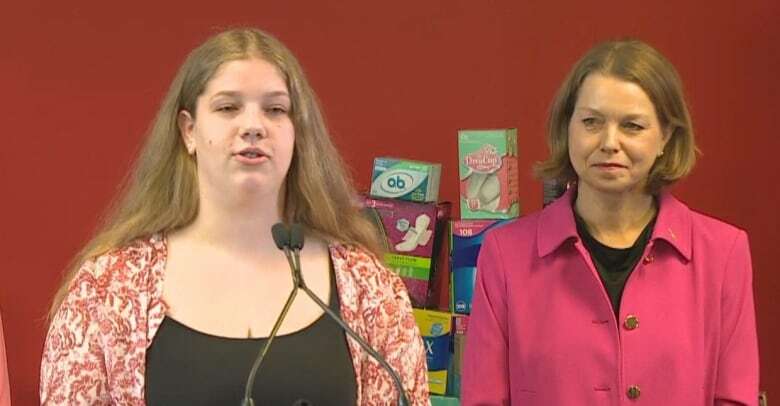 "In my own experience, I know that many young women feel awkward asking for menstrual products at a school office, especially if there isn't an adult there with whom they feel comfortable," she said at a news conference on Friday. "I believe the decision to provide this free service also symbolizes a progression towards eliminating the taboo nature of menstruation. This is something all young women go through and should never feel bad about, or ashamed." Fleming said the stigma-free aspect of providing menstrual products in bathrooms is important for students, who would sometimes need to ask school staff for tampons or pads. "Administrative leaders ... they understand that students don't want to talk about everything that's going on with them," the education minister said Friday. "This is something that will help students not only have access to a product they can't afford, that sometimes isn't available in the school systems, but [now] principals, vice-principals, teachers and support staff won't necessarily have to know what your business is on a particular day." Susanne Skidmore, co-chair of the Period Promise campaign, said she and her colleagues have been working toward this goal — and other, national goals — for 10 years. 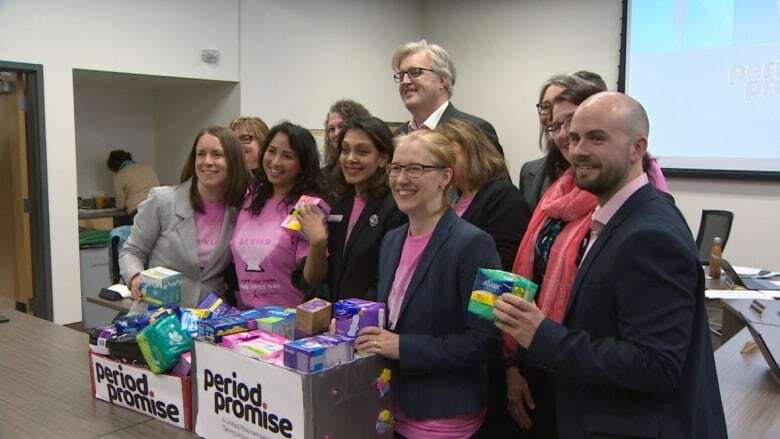 "This a fundamental shift to improve accessibility of menstrual products and reduce period poverty across British Columbia." The province also announced Friday that it's providing a one-time grant of $95,000 to support the United Way Period Promise research project. The money will pay for menstrual products at up to 10 non-profit agencies and for research into how best to provide services and products. 2018 was historically bad. What should B.C. brace for this flood season?